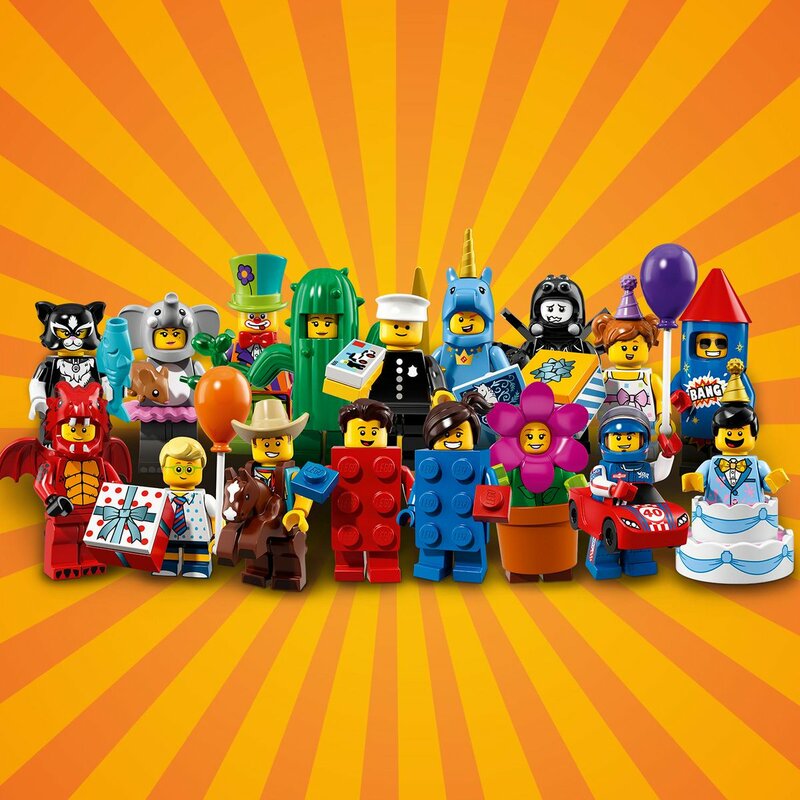 Over the Lunar New Year Weekend, LEGO announced at the New York Toy Fair that the 40th Anniversary of the Minifigure will be celebrated with the release of a special “birthday party” themed Collectible Minifigures Series 18. 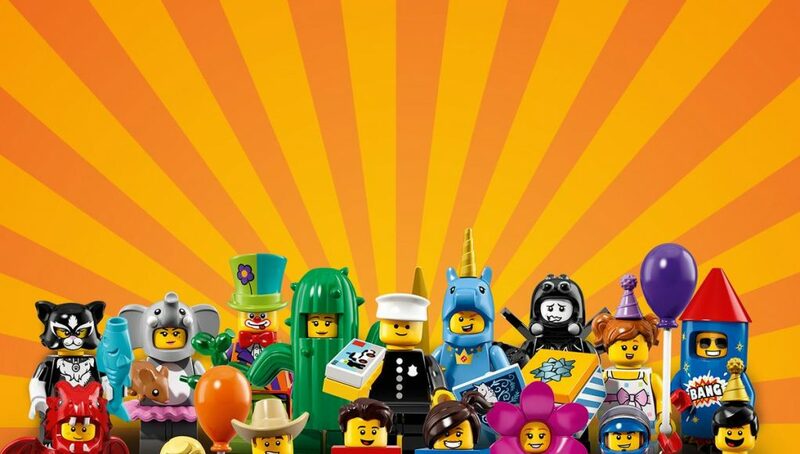 Release date is set to be on the 1st of April 2018 and features many costumed minifigures which are sure to excite the casual and fervent collectible all the same. 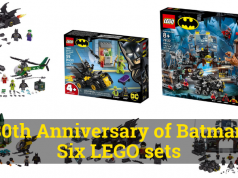 Many speculate that there might be a special chaser of 1 per box of 60 but let’s hope LEGO doesn’t go down that route. 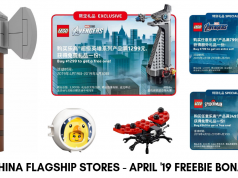 Scroll down to see individual pictures of the minifigures as well as a field report picture of the insert and blind bag courtesy of Brothers Brick. 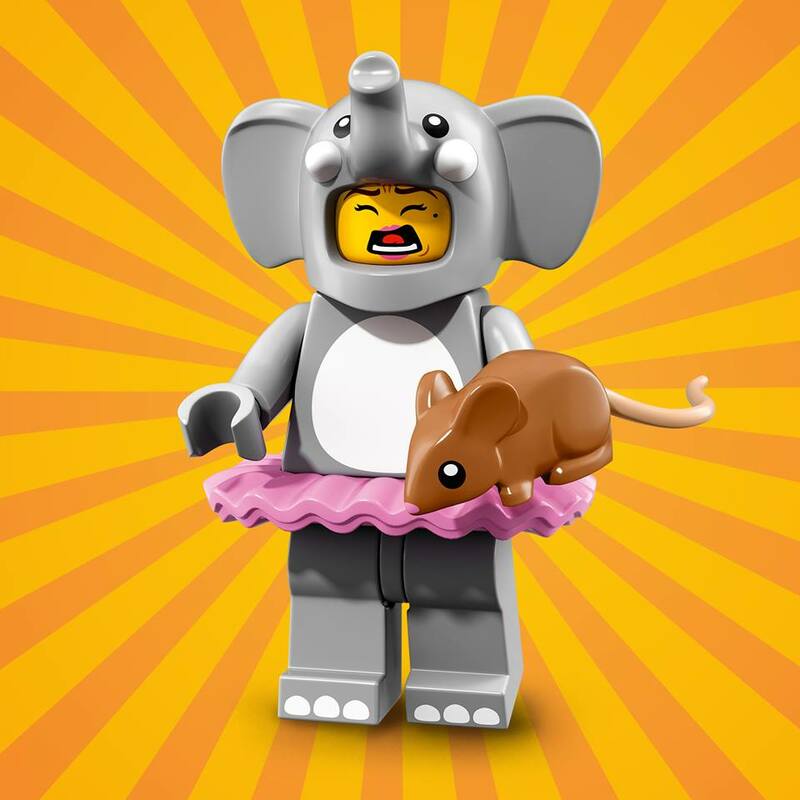 The Elephant Girl has been waiting all year to dance in her costume at the big party, and nothing’s going to keep her from having fun – not even that mouse! 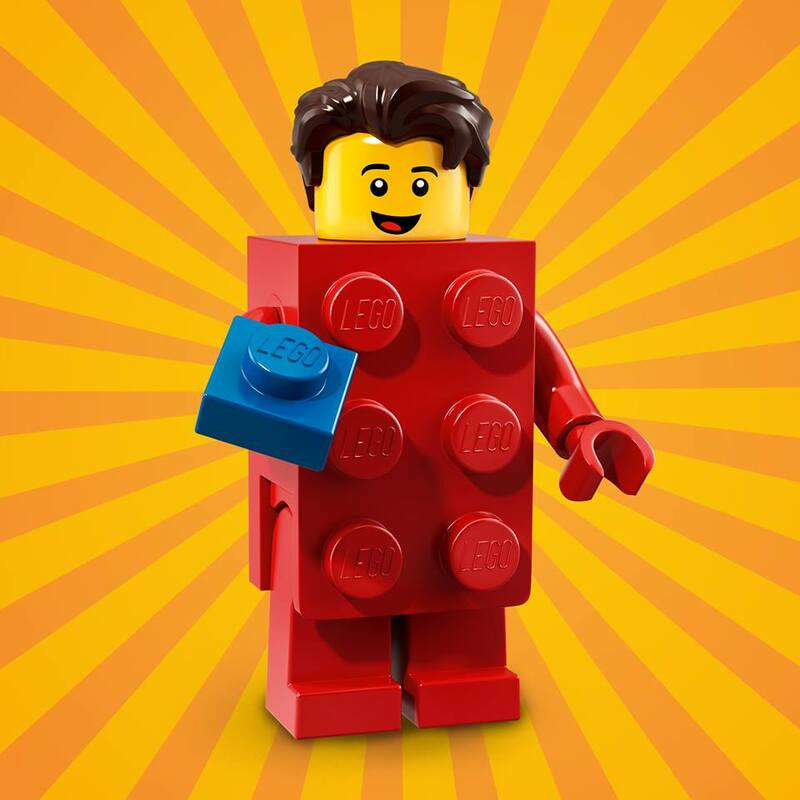 The LEGO Brick Suit Guy’s favorite thing to do is put together LEGO sets, one brick at a time! Even at a party. 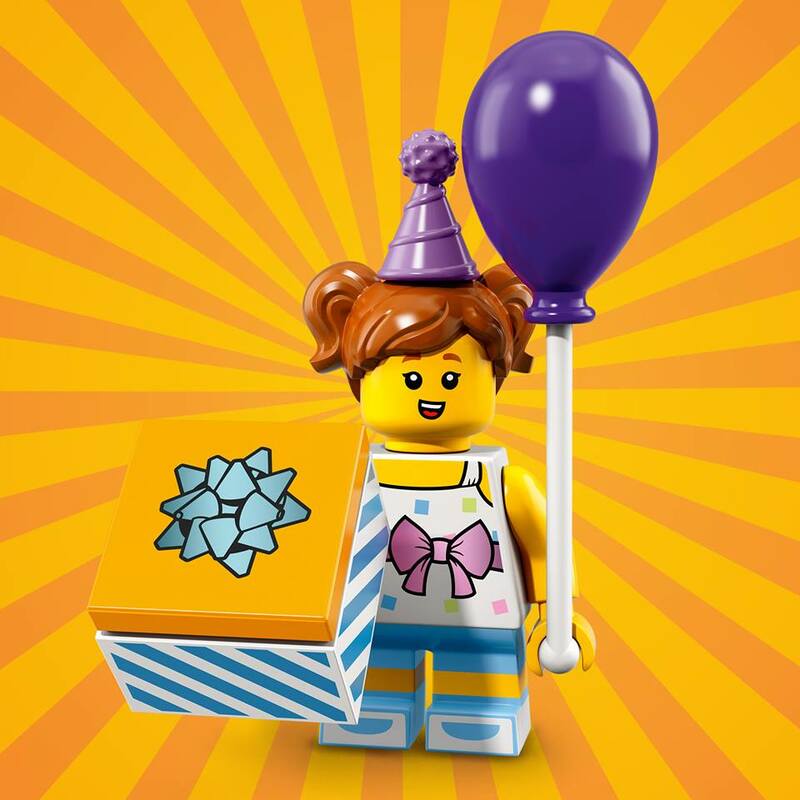 The LEGO Brick Suit Girl is bringing her unlimited creativity to the birthday bash. 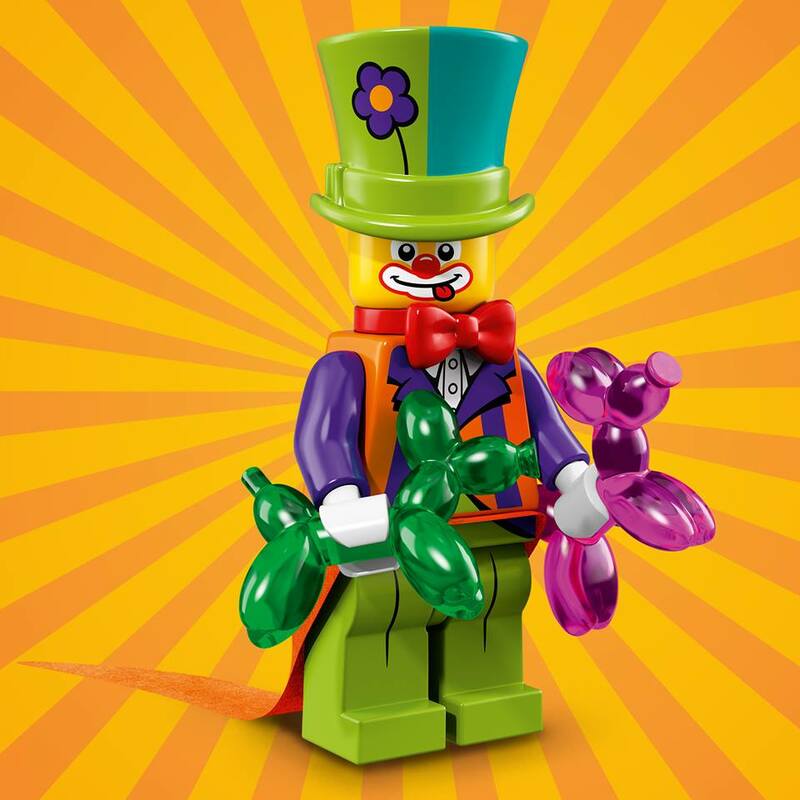 With his hat full of balloons and fun, the Party Clown is here to be the wacky and whimsical life of the party! Who likes countdowns? The Firework Guy likes countdowns! 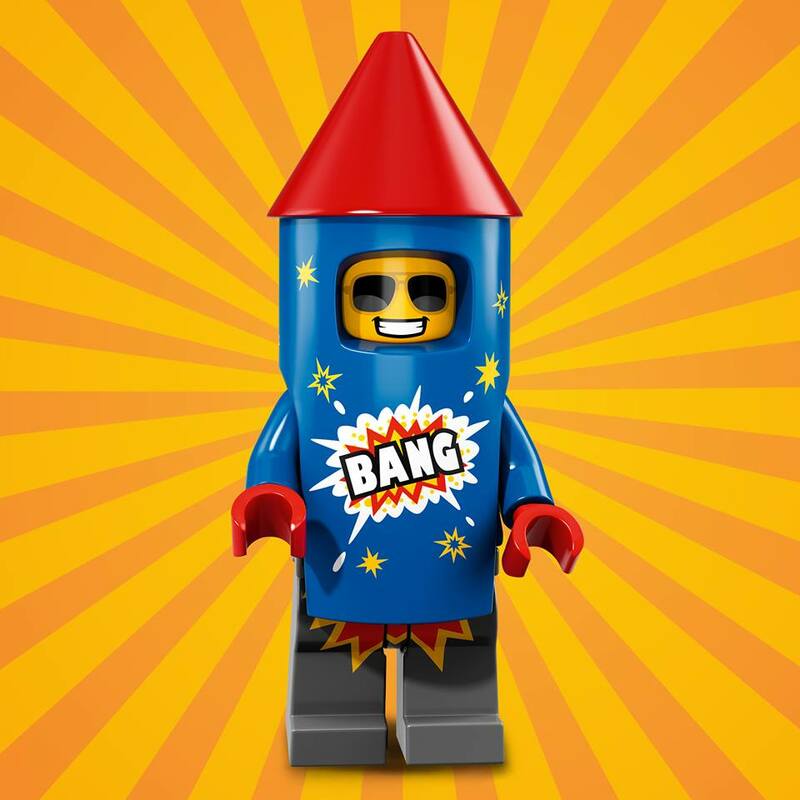 No matter the theme of the occasion, he’ll find a reason to 3-2-1 … explode with good cheer! 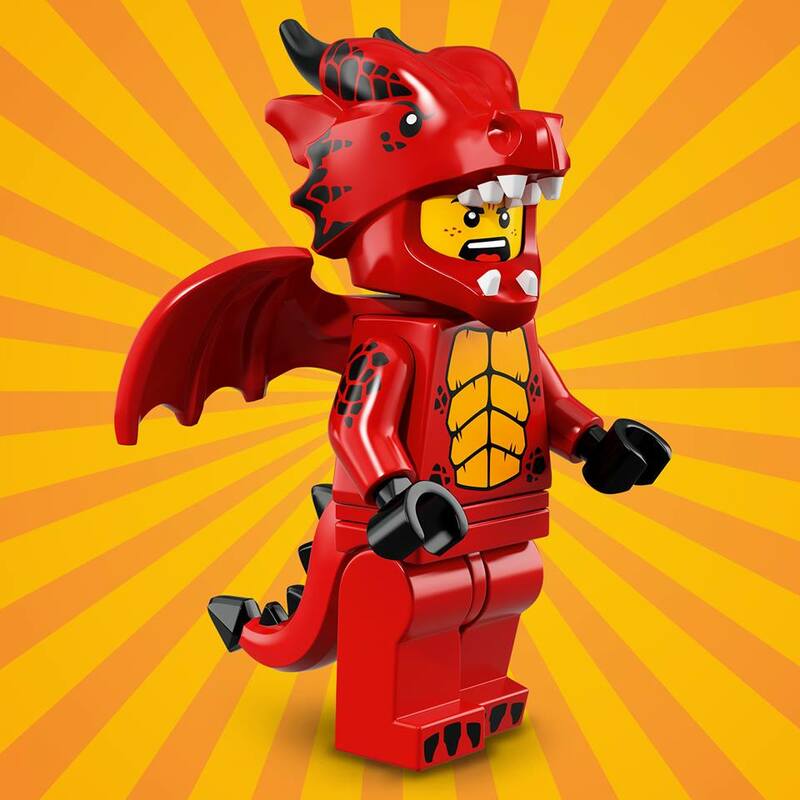 The Dragon Suit Guy loves to make things hot and puts jalapeños or hot sauce on everything. EVERYTHING. He’s even brought a bottle of hot sauce to heat up the celebration. 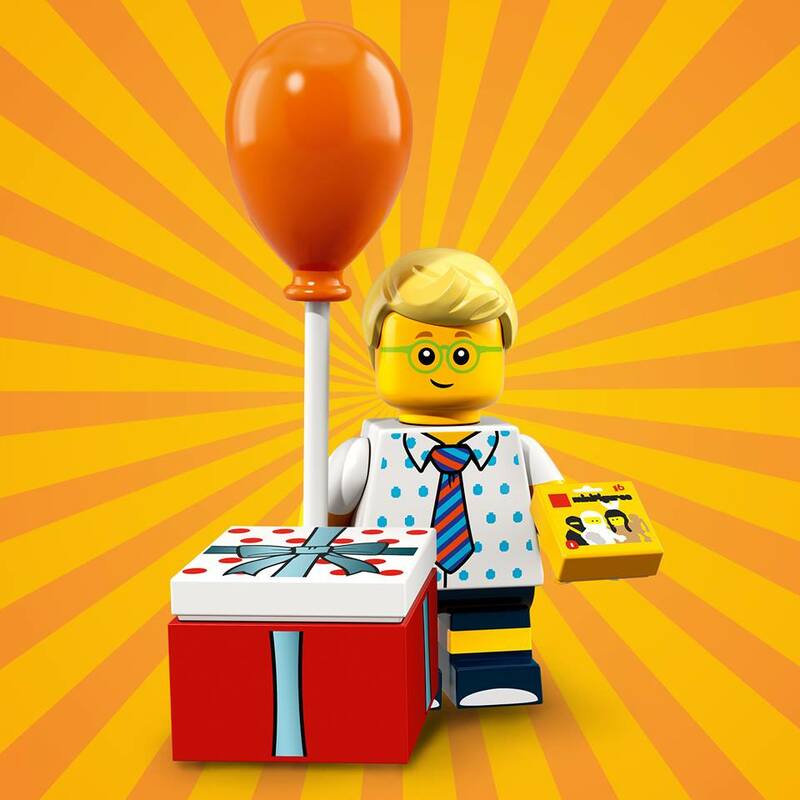 Here he is, the birthday boy! 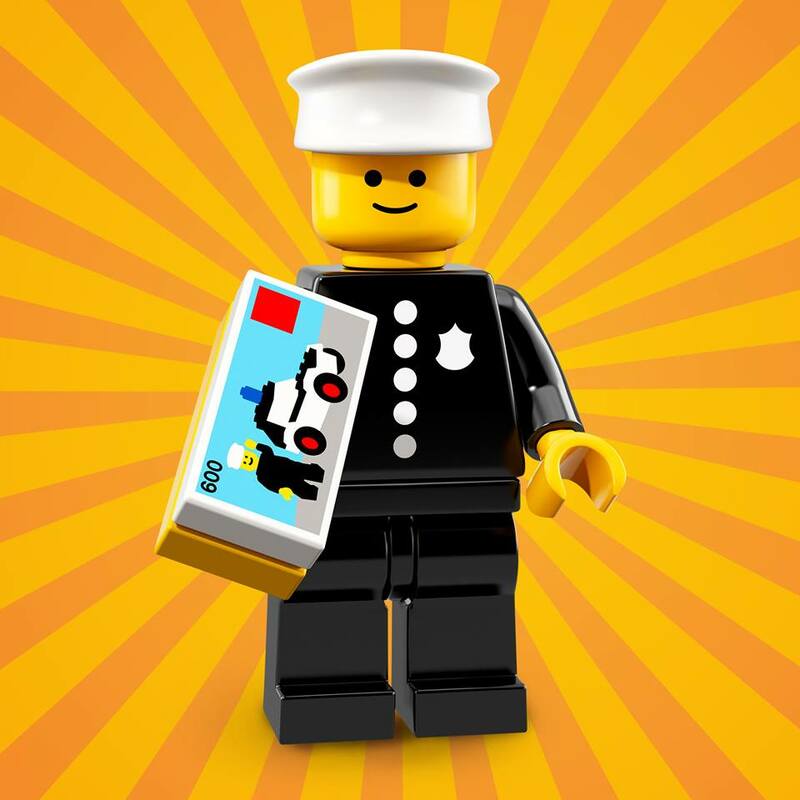 The Police Officer was one of the first modern LEGO® Minifigures ever! 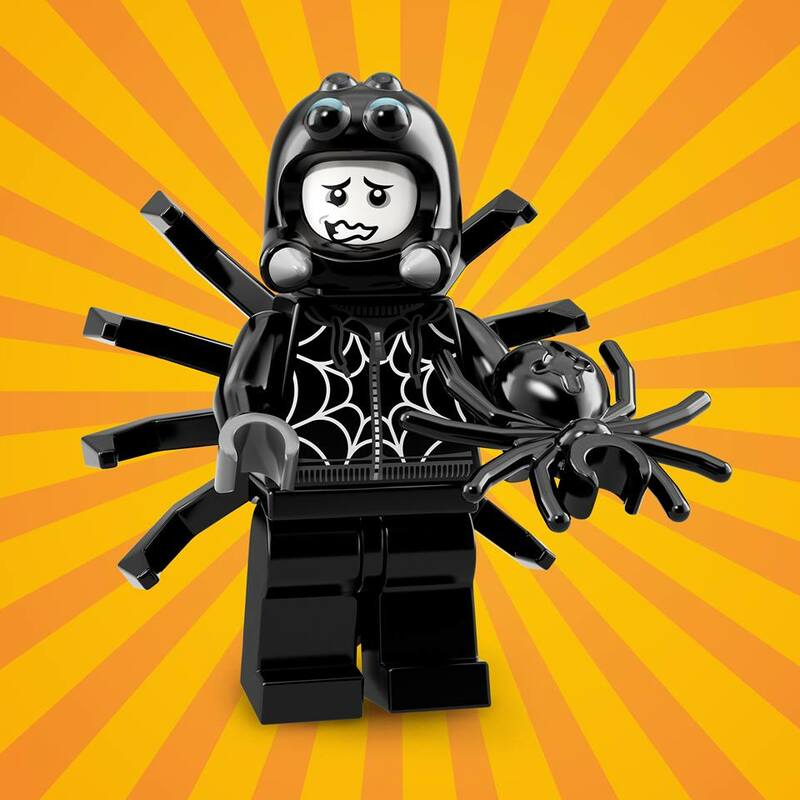 The Spider Suit Boy isn’t really into parties, but he loves any chance to surprise, or even scare, his fellow Minifigures. 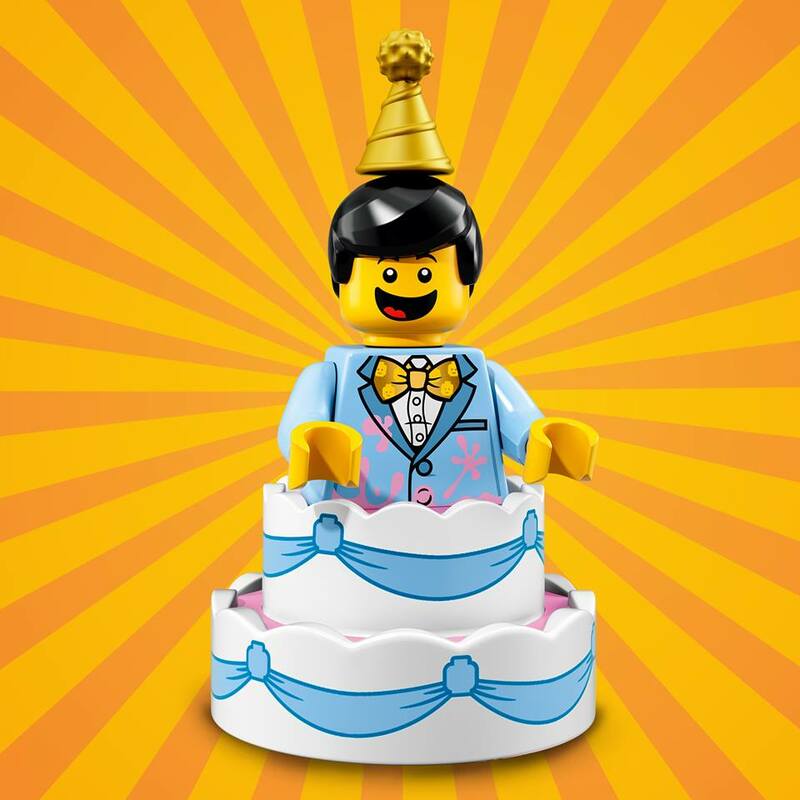 The celebration for the 40th anniversary of the modern LEGO® Minifigure calls for a very special cake with an unexpected surprise inside. 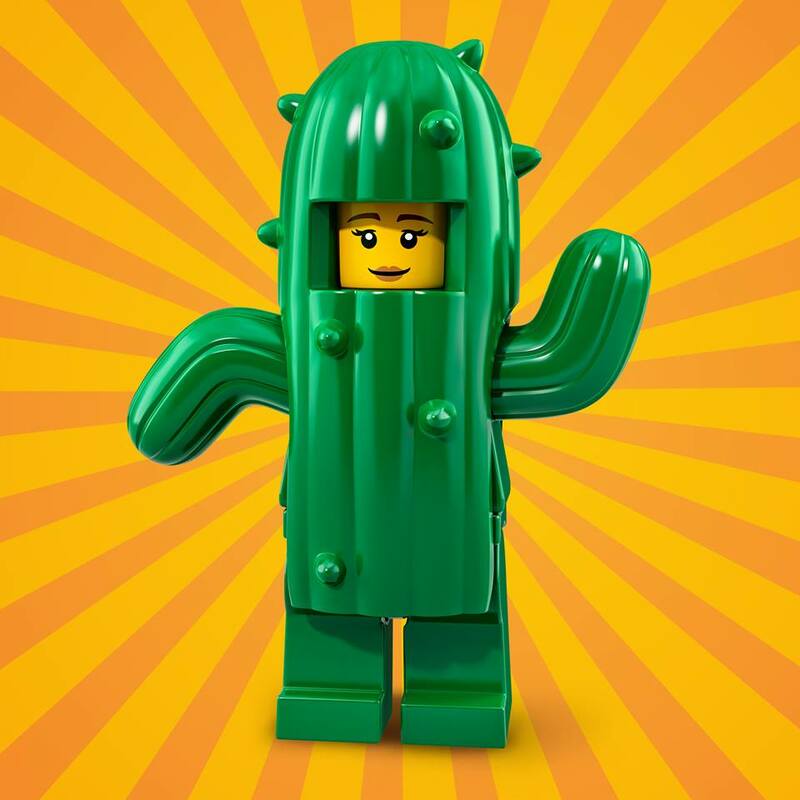 Cactus Girl thought she was making an interesting and one-of-a-kind outfit to wear to the party. 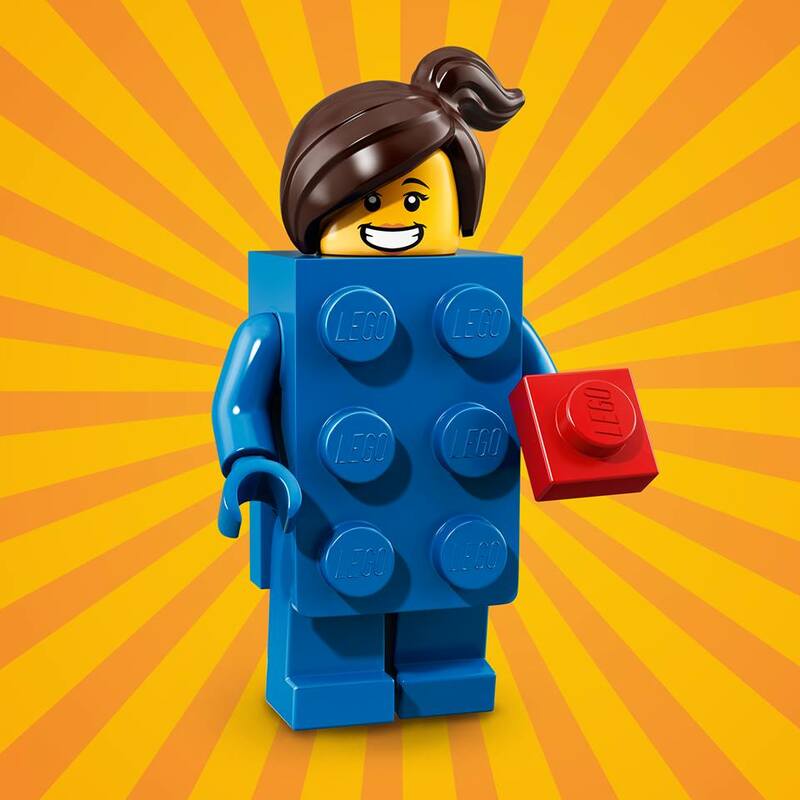 Maybe she should have thought more about the downsides of such a pointy ensemble. 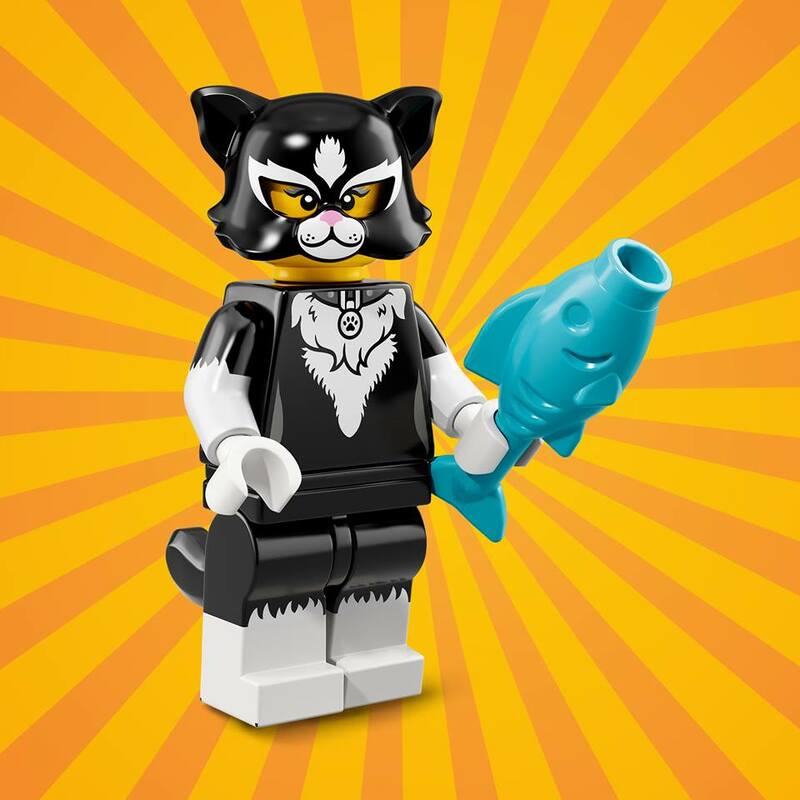 The Cat Costume Girl is a friendly feline who just adores parties. She gets to climb on all of the furniture and make new friends! 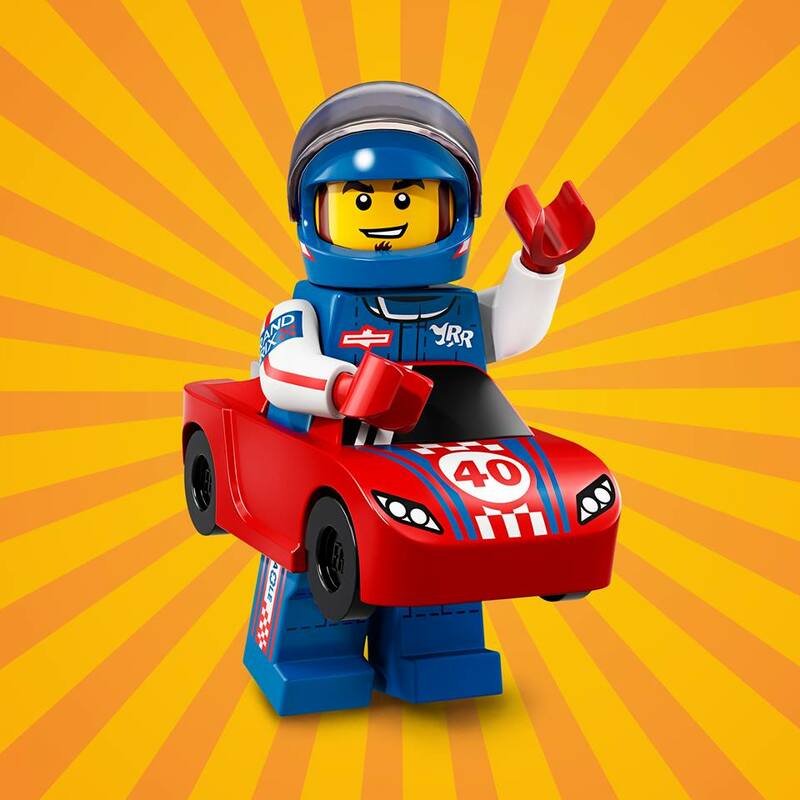 The Race Car Guy likes to do everything fast. 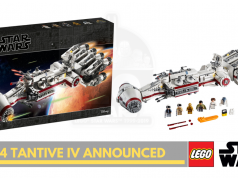 He’s sure to be the first one to arrive at the party! 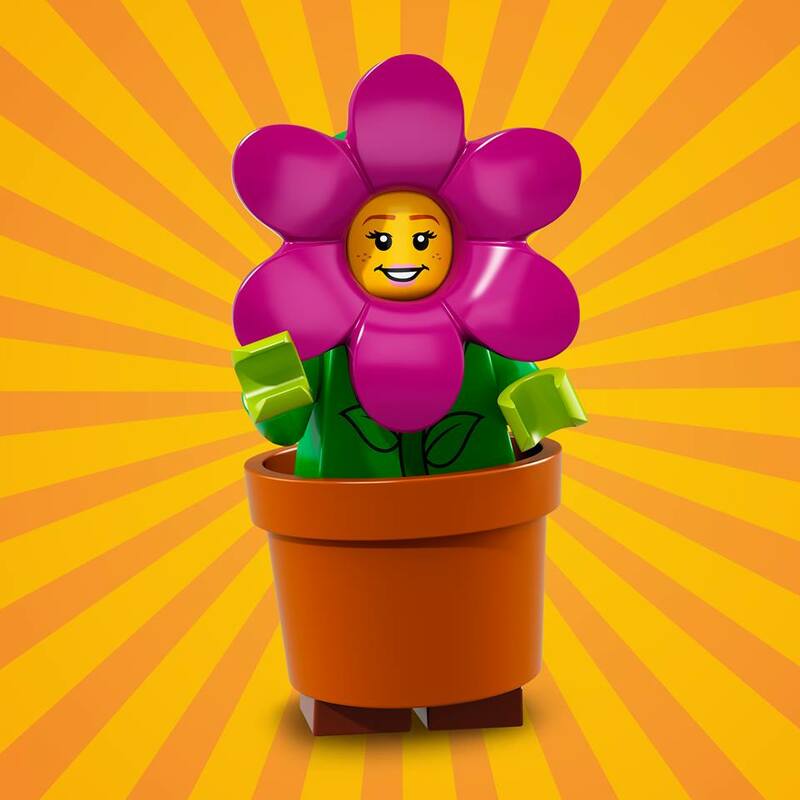 The Flowerpot Girl decided to bring the colors and beauty of a garden to the anniversary festivities. The Cowboy Costume Guy is a total goofball! 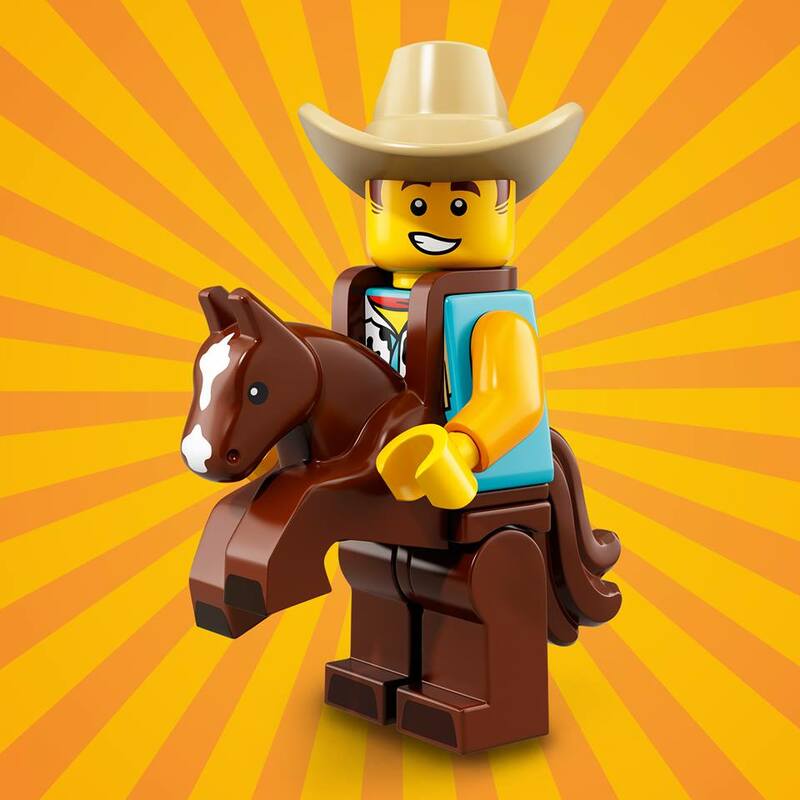 After all, he did come to the party dressed up as a cowboy riding around on a horse. 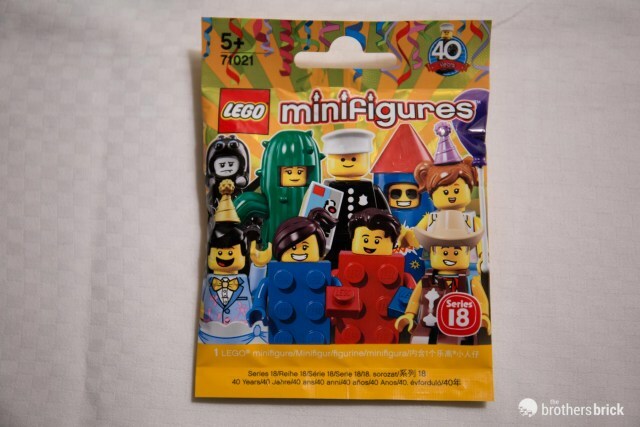 The Birthday Party Boy is thrilled to join the celebration and can’t wait to see all his favorite Minifigures. Swords! Wizards! Goblins! Glitter! 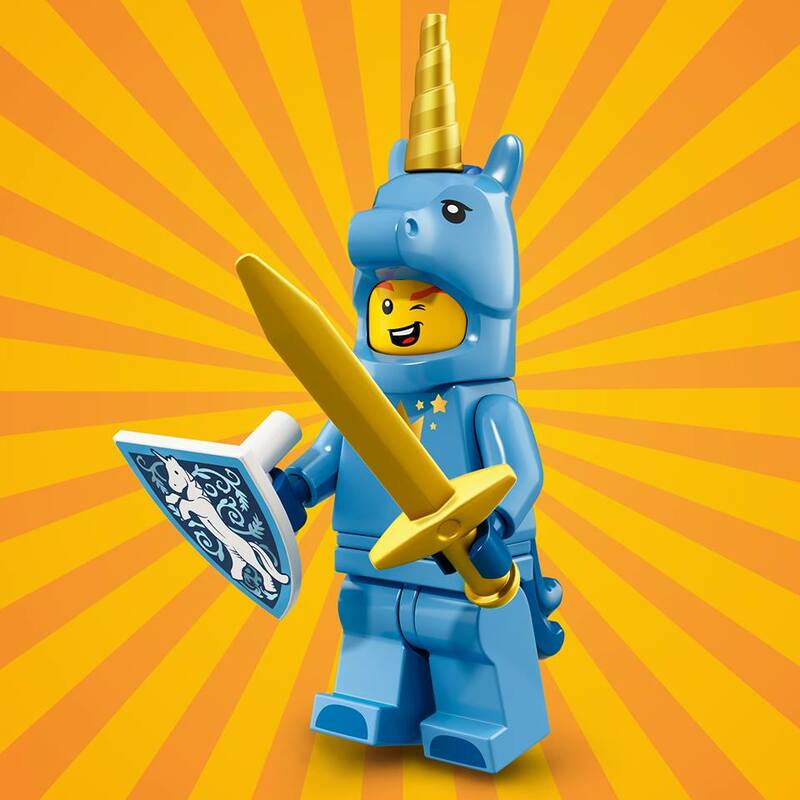 The Unicorn Guy is bringing an epic quest for the other party guests to enjoy. 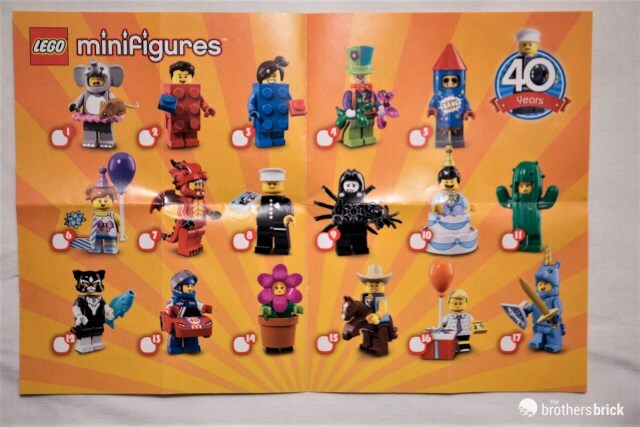 The Brothers Brick managed to snap some pictures of the blind bag that they were given as part of the press kit and we also re-uploaded them here.